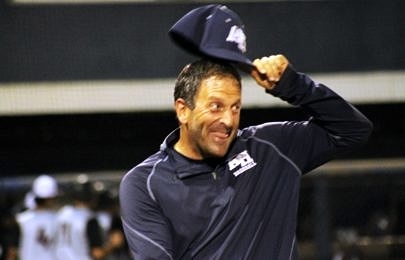 Carm Mazza has been the manager at American Heritage-Delray for twenty years, and last season he took the Stallions to the state Final Four for the fourth time under his watch. 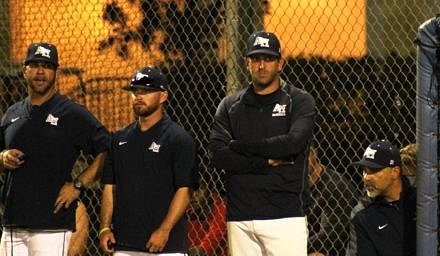 Coach Mazza sat down recently with HSBN’s Rick Duteau to talk about the program he has helped to build at Heritage-Delray, chasing after their first state title, his family and some of the changes that have occurred in the game of high school baseball over the years. Enjoy! Rick: So it has been a few years since we last chatted, what’s new in the world of Carm Mazza? Carm: Age. I’m just getting older. Rick: Your team returned to states last year with a relatively young squad. How excited are you for this season? Carm: We’re very excited as a program. The coaching staff, we’re just a little critical and we’ve got to make sure that they stay concentrated because the district is tougher. We didn’t win the district last year so we had to come back and beat Benjamin and the road’s never easy. So we’ve got to take care of business within our district first. Rick: It almost gives you that opportunity where you went to states last year but you didn’t win your district, do you use that as extra motivation? Carm: Without a doubt. We remind them that we didn’t win the district so let’s win that district this year. Rick: You’ve been to states a couple times the past few years, but have fallen short once you guys get there. What do you think its going to take to get over that hump and bring back a state title? Carm: We’ve got the experience now under our belt and we love our pitching and defense. Offensively we do some good things. The ball just has to bounce right for you. It’s a hard, hard road. Last year we ran into a team that was special, you know, they were undefeated. It’s hard. Baseball is hard and it is difficult and you never know. You just never know. Rick: Especially having gone to states three times I think you know a little more than everyone else, because the kids don’t always understand that. Carm: The kids don’t understand, and each year it kind of has been a different crop, so it’s not like we’ve gone with experience. Even when we went in ’06 and ’07, it was still a new group. We graduated a lot of guys. Their eyes are a little big and stuff like that. It’s the same game and we just try to let them know, just like Hoosiers, it’s ninety feet and it’s the same dimensions as everywhere else you play. I don’t think we were overwhelmed last year. Rick: Yes, having been there and seen the game I didn’t feel that they were overcome by it. Carm: I don’t think that any year we’ve ever been have we ever been overcome by that. Each year has been a different scenario for us, and if it happens, it happens. We’ll see. 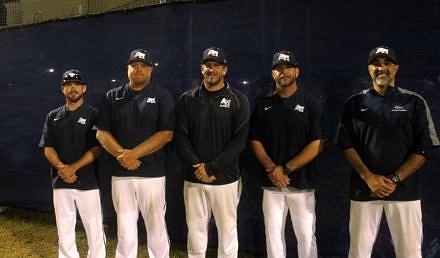 Rick: You are one of the longest tenured coaches in Palm Beach County, and obviously the high school landscape has changed over the past decade. What do you think is the biggest change you have seen from when you started to now? Carm: Just the whole summer aspect, summer ball and all those groups that put things together. It’s a lot more to compete with with families and kids and let them understand that colleges still want to see high school baseball and they still want to see how you are on a team as a teammate. I still think high school baseball is very important in that aspect. I just think that high school baseball is teaching the game and life and how to deal with guys every single day and not just visiting each other on the weekend. 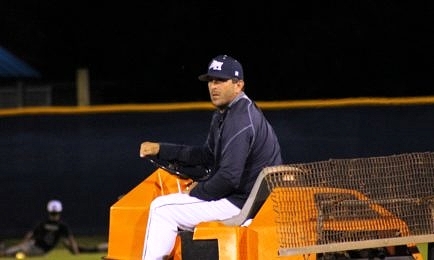 I love high school sports and I love high school baseball and I think there is still things being taught at this level. To me, that’s the biggest change. It’s really, really seeped into the game and it’s really changed the mindset of a lot of these kids and these parents. So it’s making it harder on us. That and Scott Benedict retired, that is the big change. Rick: Yeah, him retiring put you into the position as one of the longest-tenured now. Carm: Yeah, me and Joe Russo, yeah. This is twenty years for me. Rick: Well, Russo has you beat by a couple of years then. Everyone always talks about the negative changes that take place, but give me something positive you think has occurred through the years? Carm: You know, the positive stuff for me is the smile on their faces when things are going right, when they do get to that next level and they do realize what we were trying to do. For me, seeing the kids come back and the former players coming back and helping out or just coming to visit and saying, ‘Hey, the season is starting up. Good luck.’ For me, that family thing, we do that every year and we have get-togethers for these guys and building that family camaraderie is what I really like seeing. Rick: I think you have a lot of that. We’re here now and we’re seeing a lot of your former players here, and I don’t think it is every now and again. It seems like there is a lot of that consistently. Carm: There is, and when colleges and high school dates matched up a little closer we had all kinds of kids coming and throwing and working. Now, with college starting at different times we don’t have that, but they do come in the winter break and when they come. It’s nice; it’s nice to see. Rick: What sort of impact do you think that has on the current players on the roster when those former guys come back and are around them? Carm: I think it’s big. I know Carmine Lane, for instance, was influenced by one of our seniors, and they had built a really good relationship and he had helped Carmine along the way as a young freshman. I think it means a lot to these kids to see it, whether it’s a three-year difference or a one-year. To see them and hear them when they come back and see the changes and the similarities to what we do and what college does. The Zuckermans have come back and talked to the guys too, and it just brings a smile to everyone’s face. Rick: Your girls are getting older, and have grown up around the baseball field. Do you ever think about that, and is there ever thoughts of how tough it is to have this type of full time coaching commitment while your girls are growing up? Carm: Yes. My girls, and including my wife, we’ve sat down at times, and the girls really, really want the high school baseball thing. I’ve cut back on so much more. I do go to a lot of their soccer stuff and I try to make as much of it as possible. I cut back on everything else so I can go to different games and different tournaments. I’ve got a good coaching staff, so if I want to get away they can cover a Saturday practice or something. It’s hard, but I think that I am lucky because I get good support from my three daughters and my wife that I don’t miss a lot. Me and my wife try to go to every one of our kid’s games together. We do a lot of things with it, being up in Orlando at Disney playing soccer, and we spend Thanksgiving there. We try to make the best of it, and they love being at the field. Rick: I was going to say, we already saw one of your daughters here this afternoon. Fortunately they make it a little bit easier because they like to come here to the field. Carm: They love it. My oldest was here for the yearbook and she likes coming and cheering and she’s close with a lot of the kids. They are around and they are vocal. Rick: The new rules in the state have created a competitive year-long battle for players. How have you adjusted to the idea that players can jump from program to program each year? Carm: I think for us, it hasn’t changed a ton. You to pay to come here, so it’s not like you can just jump to us. We can see, will see and have seen people jump away from us. But I’ve seen it around the county and I’ve heard so much talk, that’s for sure. I don’t know if it’s good for the high school game or not. Rick: It definitely seems like something a little more suited for the travel ball and the summer baseball mentality then the high school season. Carm: I guess what I am saying is that it hurts the loyalties again. Once again, in our world, where is the loyalty to what you are doing and what you believe in? Are you going to stick by what you believe in and are you going to do what’s on the front of your shirt and not the back? Are we sending the wrong message to our kids? That’s what we try to do here is remind them they are playing for the name on the front. We can talk until we’re blue in the face but if there is no loyalty to the family… I mean, the cosa nostra broke down because there was no loyalty! Rick: I hear coaches all the time these days say that they would advise young coaches to stay away, to do something else. That the headaches that come with coaching have become too great. What would you say to that? Carm: I can’t. I just added four young coaches that are fresh out of playing at FAU. So I cannot say that. I warn my guys that it’s difficult. It’s very, very hard. The one thing that keeps the guys here who have been here the longest, like Schmitty and Manny, is we just love the game and we love being around the game. We have so many stories about the kids and that’s what it’s about. It’s about the kids. So if you really want to put in your time and do something for kids, then pursue it. But it’s harder and harder. It’s tough. Rick: And how long have Manny and Schmitty been with you? Carm: Manny’s been with me all twenty years. Schmitty’s been with me for, I think, fifteen years. Rick: Both of them have obviously helped contribute to the whole atmosphere. I mean, you guys all really helped to build this program. Carm: Oh yeah. They’re 110% part of it. Manny, I tell him he is the Associate Head Coach, because he’s with me every step of the way. You want to talk about loyalty and being there and keeping that family together, it’s right there, it’s those guys. And Murray has been there ten years now too, and Phil, my JV Coach, has been there for ten years or twelve years. So it’s just a good group of guys. I can turn and see and know what I am going to hear and they know what I’m going to say. They know I’m not a dictator, so we’re going to go back and forth. So it’s good, it’s good stuff. Rick: If your coaching career came to an end today, what is the one thing you would look back on and be most proud of? Carm: I’m very, very proud of our program. I’m proud of what we’ve built. It’s all we; there’s no one person. What we built, players, parents, families, coaches, when I talk to kids when I first meet them I tell them that we live by a triangle here at Heritage Baseball and no one is on top. You’re student-athletes number one, but we’re all equal sides and it’s all the same. You need all three to succeed. I’m proud of the kids and I’m proud of what the program has done and I’m proud of the kids doing great things. That’s the most important thing is what they’ve done and how they’ve done and how they’ve appreciated the family in the program that has been built. Rick: OK, last question, you have shaped so many players lives through the years. When will be the point where you say, I have done all I can as a coach, and I am ready to call it quits? Carm: I don’t know. It’s there more and more, but I’m not ready yet. I still love going out and I love the beginning of the season, and if I have to go build the mound then I go build the mound. Just talking to the coaches and preparing the team and what we’re going to do next and how we’re going to work and getting them ready and then going through the season and Game Day! I still haven’t lost that, the twinkle in the eye for that. I’m good for a couple more years. Rick: Well, here’s to that twinkle and to going and getting that state title this year, Coach. Thank you very much. Carm: That would be an added bonus.